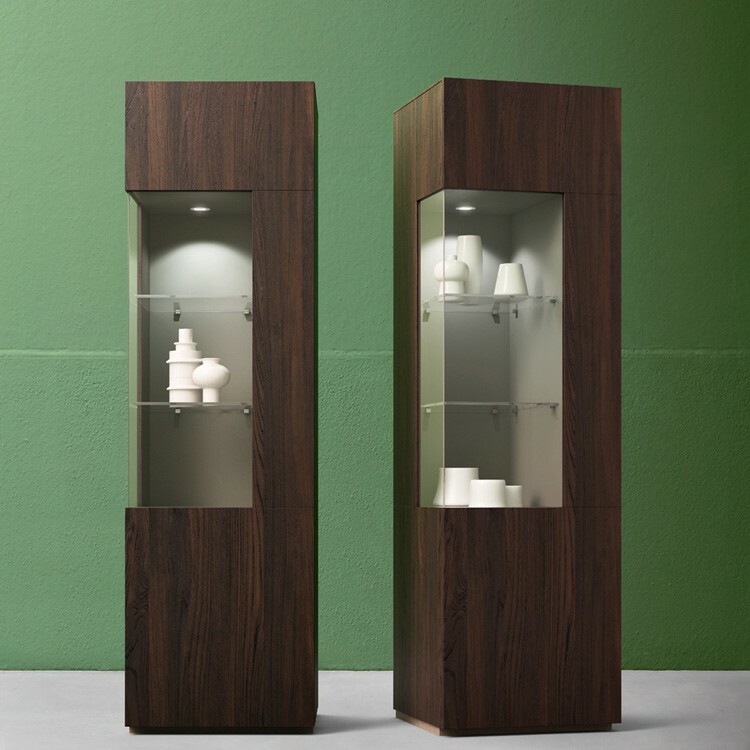 A contemporary display cabinet featuring push pull opening door in wood and transarent glass, LED spotlight and two transparent glass shelves. Two wood doors each hide a compartment, one at the top and one at the bottom The bottom compartment is divided in two by a wooden shelf. The doors and main body are available in matt colors (painted with/without the wood grain visible), high gloss colors, or fashion oak (wood stains). The interior is matt dove gray.